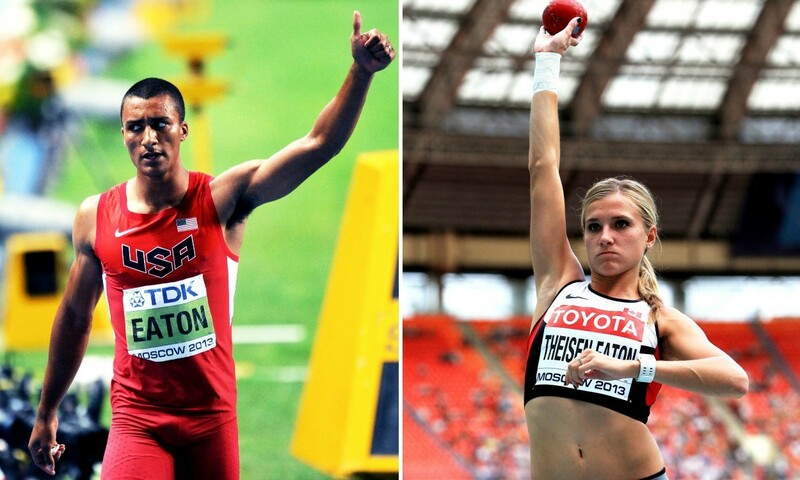 Multi-event stars Ashton Eaton and Brianne Theisen-Eaton have announced their decisions to retire from athletics. Competing at what would turn out to be their last major event, world decathlon record-holder Eaton won his second Olympic title in Rio last summer, while Theisen-Eaton claimed heptathlon bronze in Brazil. “It’s my time to depart from athletics; to do something new,” Eaton wrote on the couple’s website. “Frankly there isn’t much more I want to do in sport. Eaton first broke the world decathlon record at the 2012 US Olympic trials before improving it to 9045 points when successfully defending his world title in Beijing in 2015. He also holds the world record in the indoor heptathlon, with 6645 points achieved when the American claimed the first of his three world indoor titles in Istanbul in 2012. Theisen-Eaton joined her husband in claiming world indoor gold in Portland last year as she won the pentathlon title to go with her silver from two years before. The 2014 Commonwealth champion, who also claimed two world heptathlon silver medals in 2013 and 2015, holds the Canadian records in both the heptathlon and pentathlon with 6808 points and 4881 respectively. The couple, who are both aged 28, married in 2013.